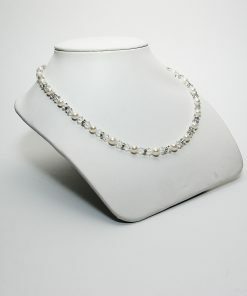 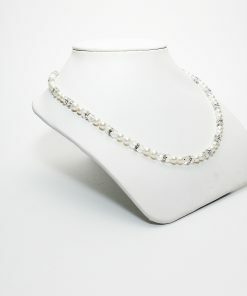 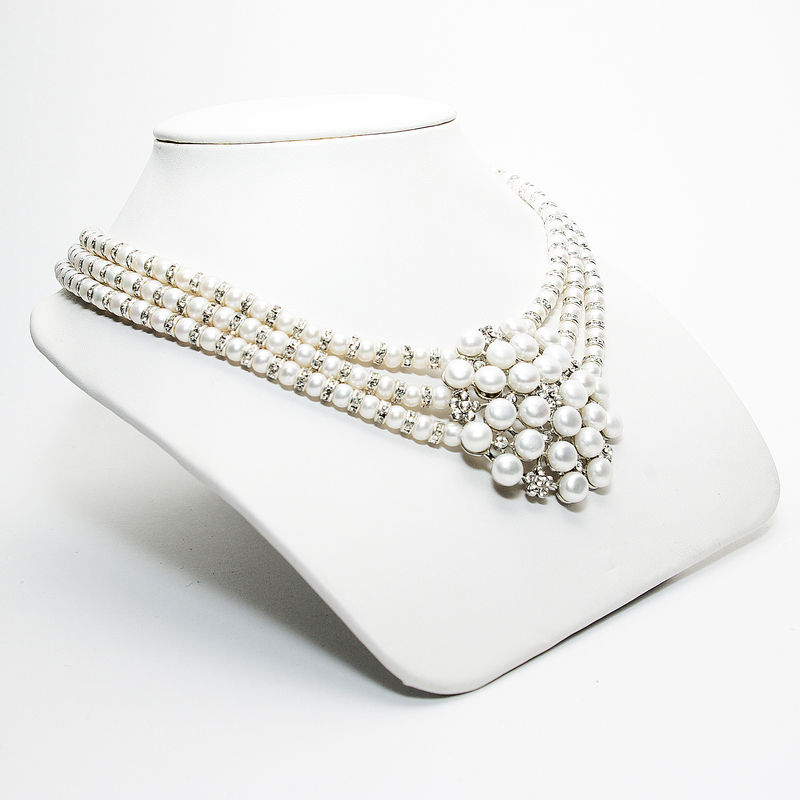 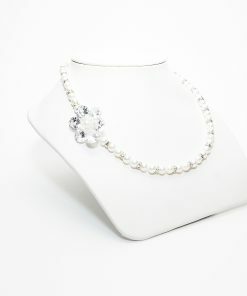 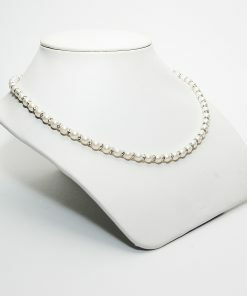 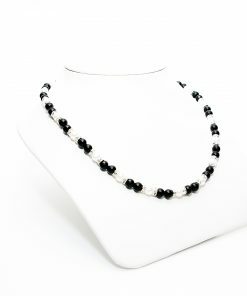 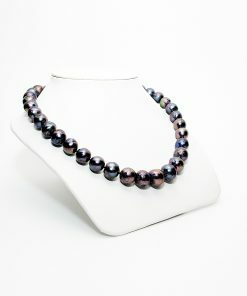 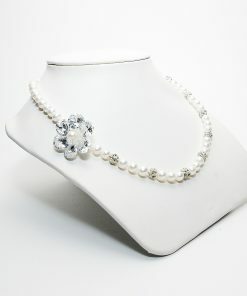 3 row 5mm white fresh water pearl necklace with diamante detail and a pearl and cubic zirconia incrusted centre piece. Featured In ‘VOGUE’. 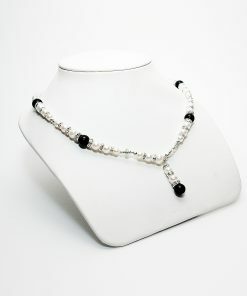 17-18 inches long with sterling silver clasp.